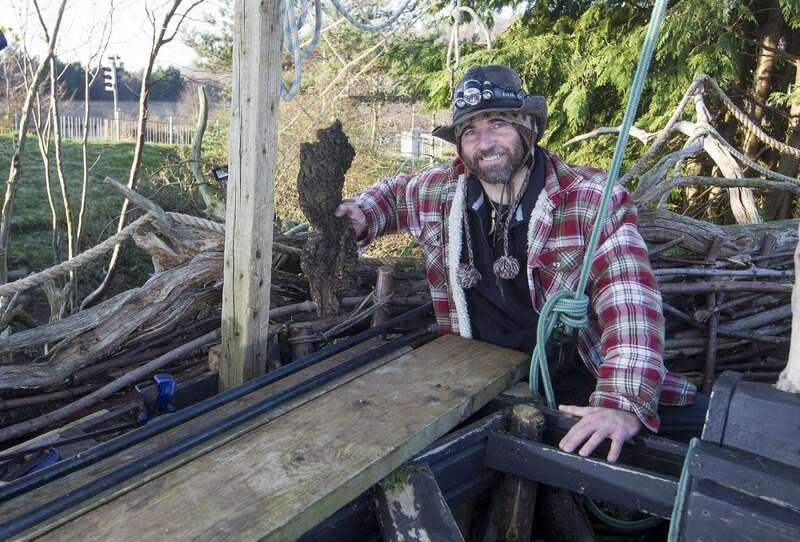 A sculptor has pushed the boat out with his latest creation – a vast wooden PIRATE ship at the bottom of his garden. Denis Carbonaro, 48, used fallen branches and recycled wood to build the huge 25ft-high galleon, complete with rigging and masts. Italian-born Denis quit his job as a web designer to become a sculptor and hopes to turn his garden into a public display. He has previously made a mammoth and a spider out of wood but his latest effort is his biggest by faarrrr. He said: “I created the mammoth sculpture first and after that I made the spider, and I still had two more trees left in the garden. 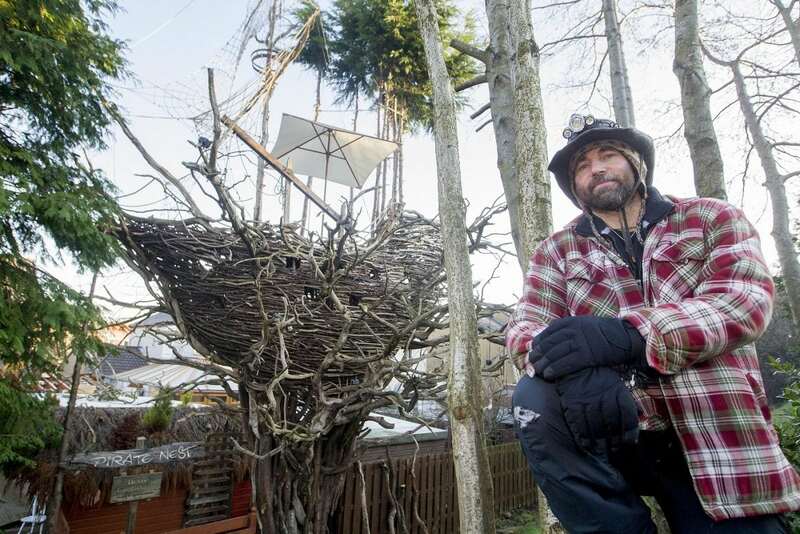 “I had the inspiration of creating a nest in the trees with an eagle landing on it. “When I was doing my research, it became much more complex as I decided to transform my tree into what would look like a very old oak tree. “I drove around the area looking for oak trees and any branches that may have fallen from them, and I brought them all back here. “All in all, it took me around five months to get the sufficient amount of wood to do this. 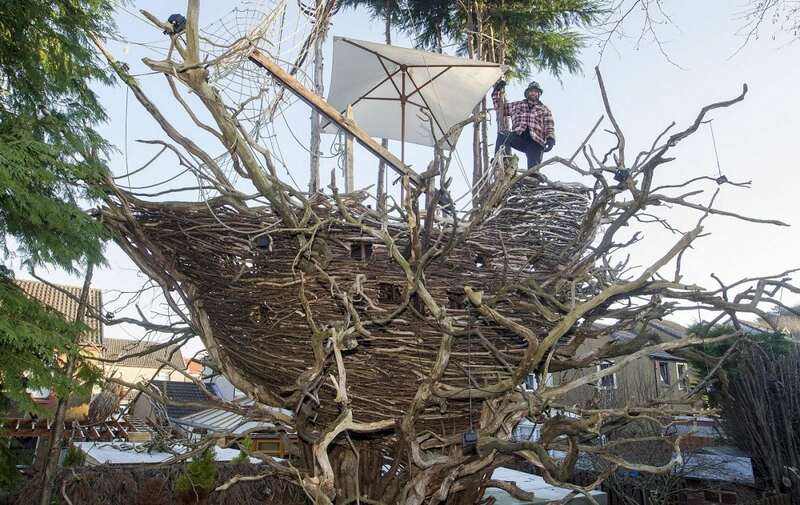 “Once it came to actually building the nest though, I decided to build it in the form of a pirate ship – the idea being that the eagle would be creative. “I’ve yet to create the eagle but the objective is still to finish it all in order for it to fall in line with the story that the eagle and spider collaborated on this. Denis, of Dalgety Bay, Fife, added: “I have two neighbours on either side of my house and the council own some land at the end of my garden. “I’ve never had any complaints since starting the sculptures and I am very thankful to my neighbours for that.